How Do I Share My Child's Progress? Can Homeschoolers Download Class and Assignment Reports? 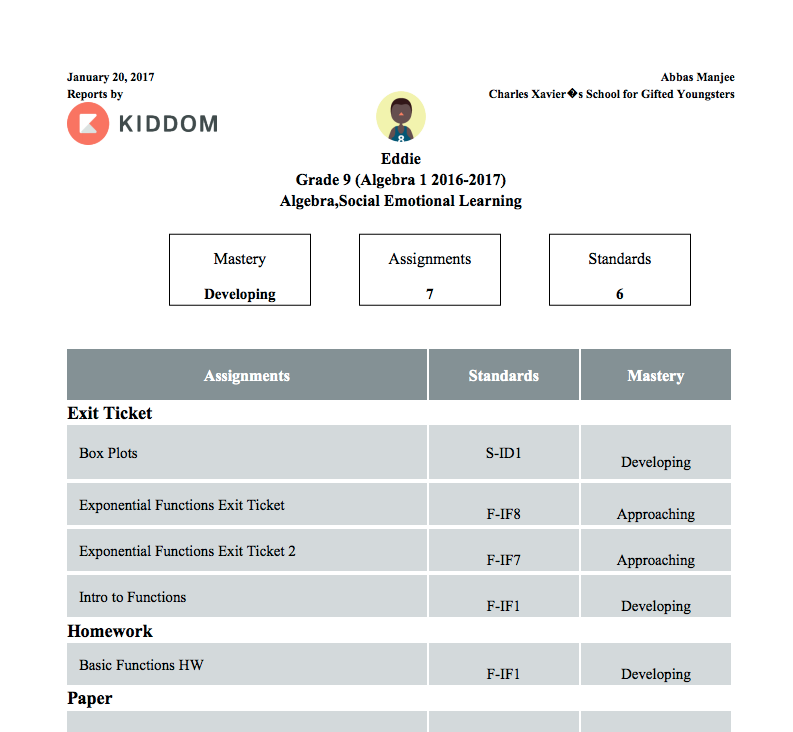 You can easily share student progress with Kiddom. Through the Reports page, you can download a printer friendly Standards-Based or Assignment-Based PDF report. View what the student has completed by category, the attached skills, and their mastery score. Alternatively, you can download a Standards-Based or Assignment-Based CSV report. 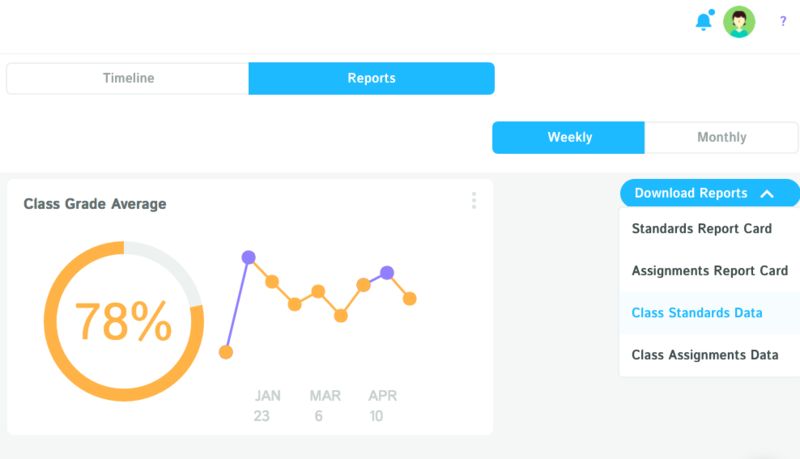 These reports will export data for your entire class of students at once.